Dickson downed four of his punts inside the 20 and two inside the 6 in a performance that left Seattle coach Pete Carroll seeming in awe. “Oh my Gosh, what a kicker, man, what a kicker,’’ Carroll said. It was a recipe that seemed ripe for a history-making performance — Seattle’s booming rookie punter Michael Dickson playing his first game in the light air of Denver’s Broncos Stadium at Mile High, altitude 5,280 feet. And indeed it was, something that might have gotten somewhat lost in the disappointment of Seattle’s 27-24 loss to the Broncos. Dickson, drafted in the fifth round by Seattle last April, finished with an average of 59 yards on six punts and a net average (which is the yards of the punts minus the yards of the returns) of 57.5 yards. The first mark was the second-best in Seahawks history for a punter with four or more punts in a game. 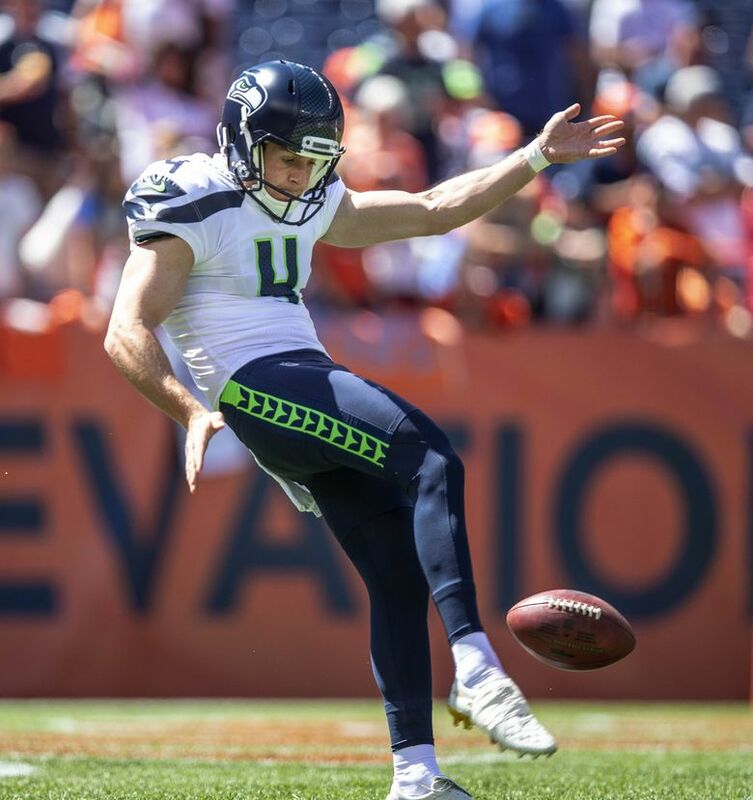 The only performance better came in 2012 when Jon Ryan — the man Dickson replaced — averaged exactly 60 yards per attempt on four punts in a victory over New England at CenturyLink Field. The net average, meanwhile, was a Seahawks record and the second-best in NFL history, trailing only the 59.5 of Rohn Stark of the Colts against Houston in 1992. Against Dickson, Denver’s Adam Jones had just two returns for 9 yards (Jones did appear to have a return of 23 yards in the first quarter, but it was nullified by a holding penalty on Denver’s Keishawn Bierria, who played at UW). Dickson had four of his punts downed inside the 20 and two inside the 6 in a performance that left Seattle coach Pete Carroll seemingly in awe. Carroll said he went into the game almost worried about Dickson’s booming leg disrupting Seattle’s coverage units. One who stood out was Akeem King, who was activated off the practice squad Saturday and had an open-field tackle on what was maybe Dickson’s one slightly off punt — a line drive 46-yarder in the second quarter — to keep Jones to a 9-yard gain. Dickson has so wowed the Seahawks that quarterback Russell Wilson even used his abilities as something of a reasoning for taking some chances in trying to escape the pocket, which resulted in a couple of sacks Sunday. Had the Seahawks won then they could have literally had the last laugh when it came to Dickson being drafted — which in case you’ve forgotten involved the Broncos. It was Denver with whom the Seahawks made a trade, giving the Broncos a seventh-round choice for the right to move up seven spots in the fifth round — from 156 to 149 — to take Dickson. That led to a later report that some Broncos execs were laughing that Seattle had used the pick to take a punter. They are probably just glad now they won’t have to see him for another four years in a regular-season game.